This scenic 3,000-mile route follows the Mississippi River all the way from northern Minnesota to the coast in Louisiana. 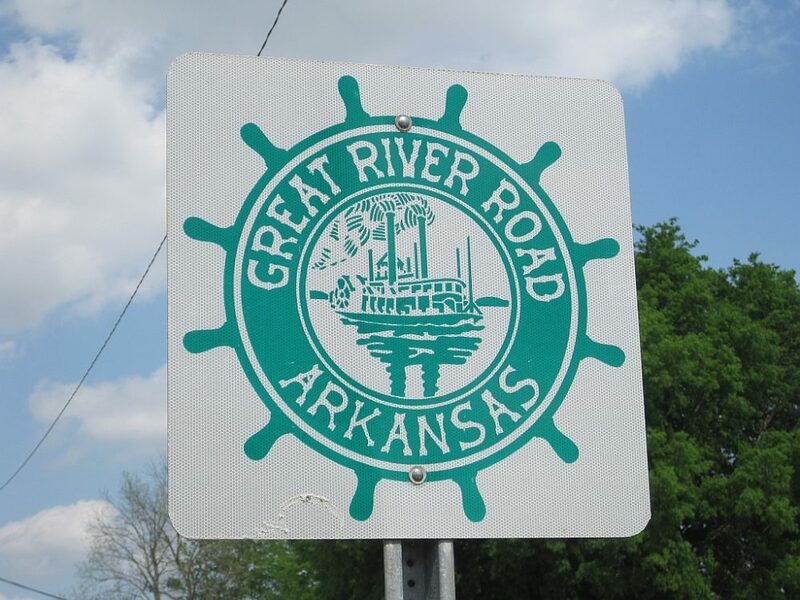 The Great River Road takes you through the heart of America along the Mississippi River. 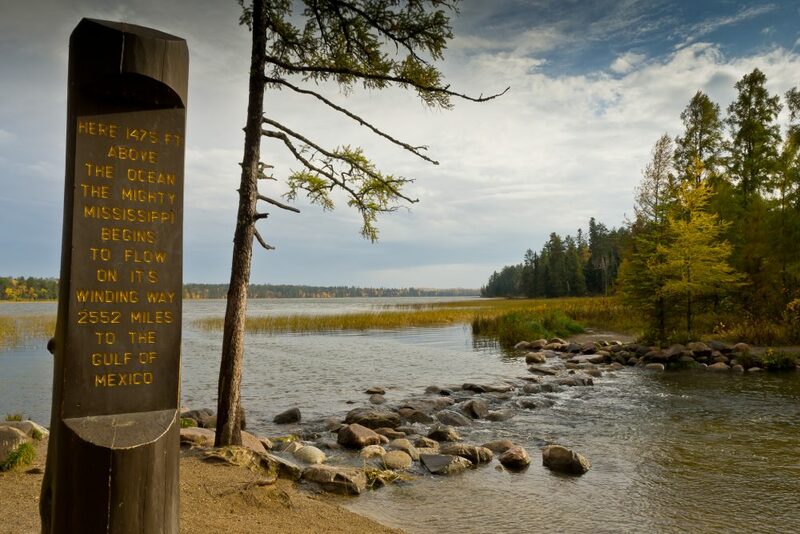 For about 3,000 miles, this scenic byway follows a network of highways and local roads along the river from northern Minnesota all the way south to the Gulf of Mexico off Louisiana’s coast. It passes through ten states along several highways and roads all well marked with white and green “Pilot” signs. From north to south it takes about 36 hours of driving, and anywhere from four to ten days depending on how much you want to stop and explore. 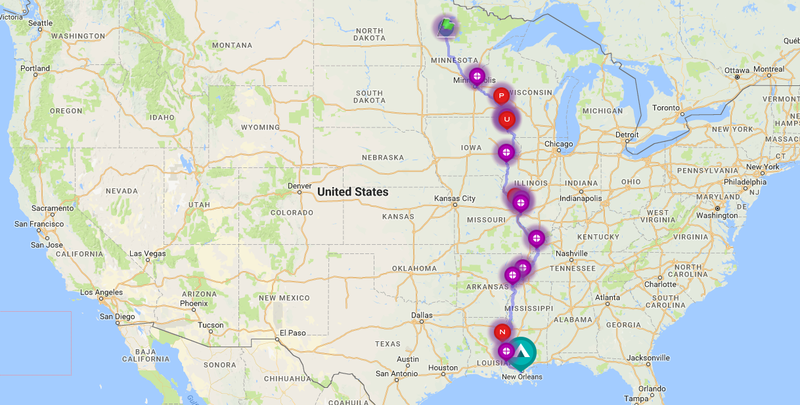 Of course you won’t want to drive the entire time, this route takes you through major cities like Memphis, St. Louis, and New Orleans, and past several parks, historical sites, museums and attractions. These are fifteen highlights you won’t want to miss. 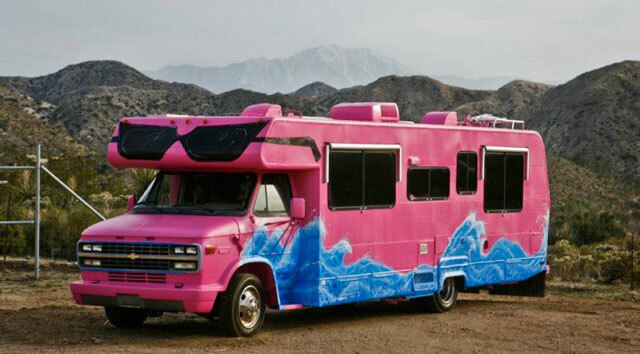 Find campgrounds, gas stations, low clearance bridges and other points of interest along the way using RV Trip Wizard. This end of the water is shallow and you can walk across the river on stepping stones as it sets off on its winding journey down to the Gulf of Mexico. 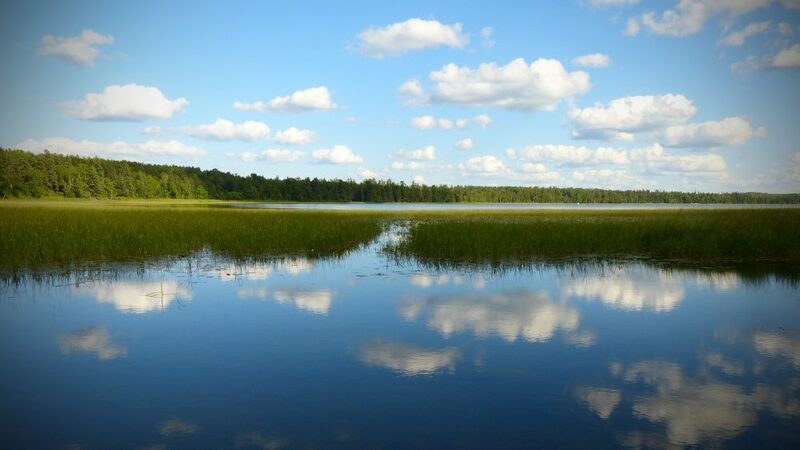 Itasca State Park also has miles of paved biking trails and the Aiton Heights Fire Tower with steps that lead to the top. 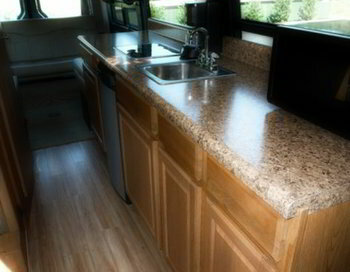 Over 280 sites are provided at the campground, most can accommodate big rigs and have power hookups. This unique National Park encompasses several regional parks, wildlife refuges, and other natural areas. It protects 72 miles of the Mississippi River in the Twin Cities area, with the main Visitor Center along the banks in downtown Saint Paul. You can access the river from many parks along the riverbanks for activities like fishing, boating, or canoeing. Some locations also have great biking, hiking, and birdwatching. In the Visitor Center the Science Museum of Minnesota has a variety of exhibits for people of all ages. You can learn more about the Mississippi River, dinosaurs and fossils, or take a seat in their Omnitheater to see what it’s like to soar through space or come face-to-face with exotic animals. See the park’s complete list of locations on NPS.gov. 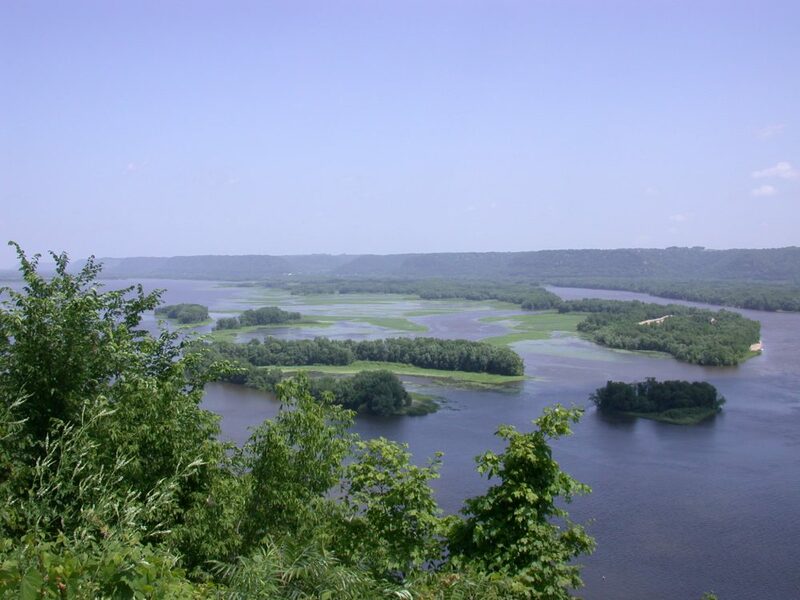 Great River Bluffs State Park is south of Saint Paul on high bluffs overlooking the Mississippi River Valley. 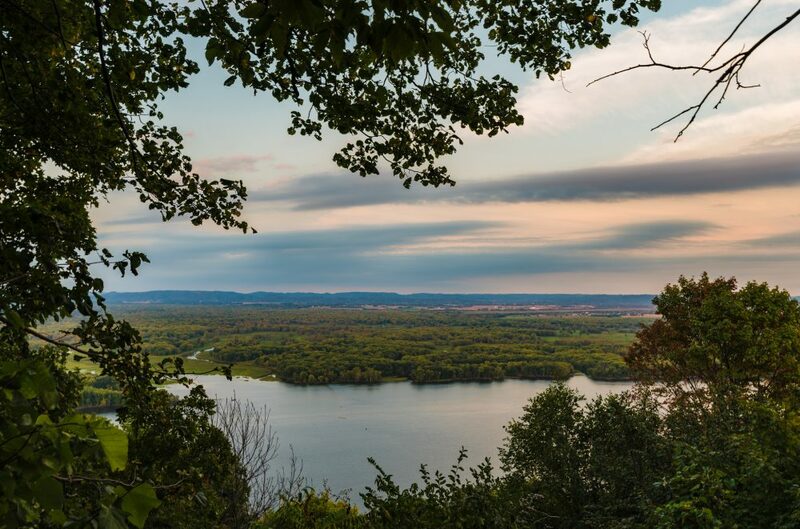 You can hike almost seven miles of trails along the bluffs for views of the Great River. The park also has a picnic area equipped with tables and grills, and a seasonal campground. At Pikes Peak State Park on the Iowa-Wisconsin border you can see the confluence of the Mississippi and Wisconsin Rivers. 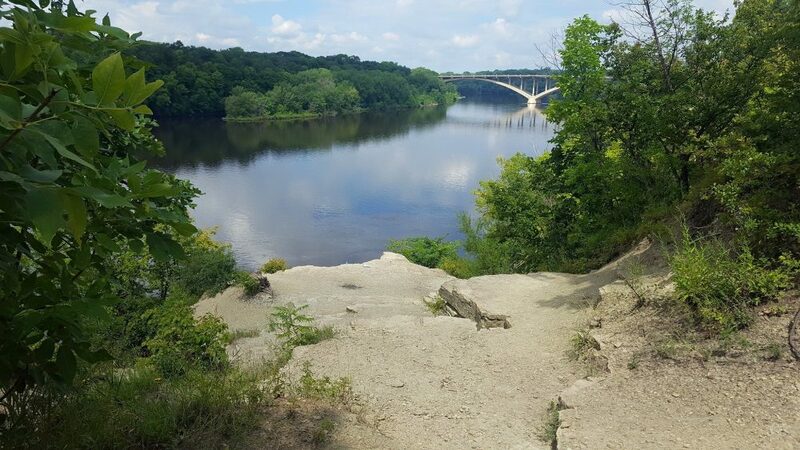 The park has miles of hiking trails along wooded bluffs (some ADA-accessible), scenic platforms, and a rustic stone picnic shelter where you can enjoy a post-hike meal. 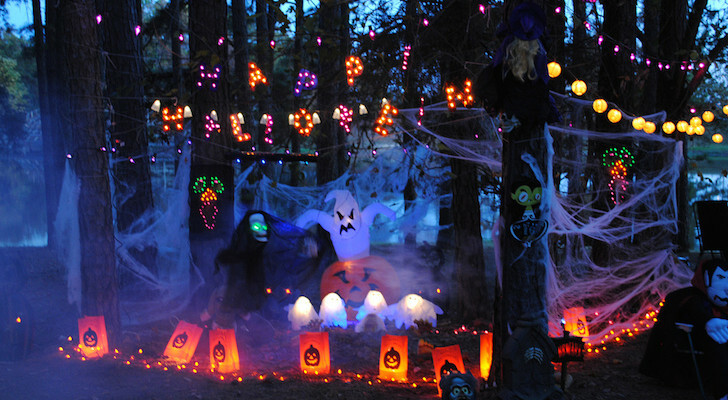 The park’s campground is set among big trees with electrical hookups and a dump station. Most of the sites can be reserved, but a quarter of the spots are available on a first-come, first-served basis. 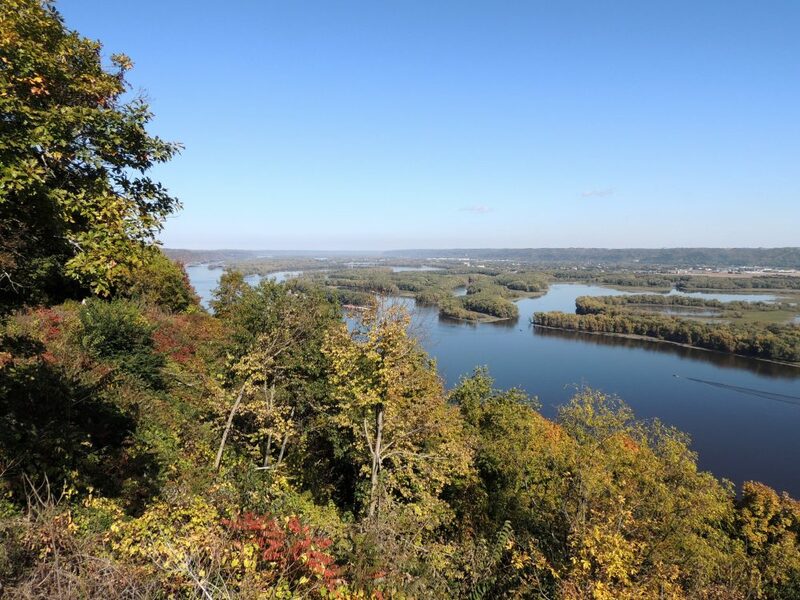 Across the river from Pikes Peak State Park, Wyalusing is also set on bluffs overlooking where the Mississippi and Wisconsin Rivers meet. The park has an array of activities like hiking, fishing, and boating, and two campgrounds with electric and non-electric sites. 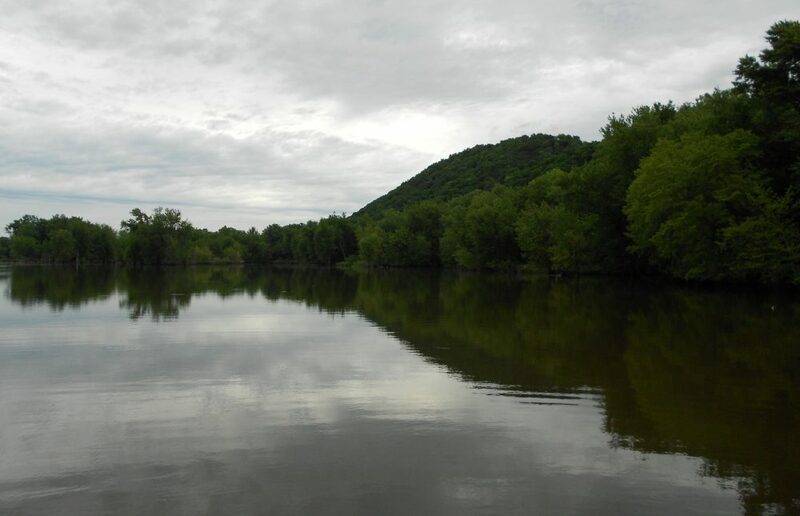 Bring your canoe (or rent one from the concession stand) and take the park’s canoe trail along the Mississippi River. This huge wildlife refuge spans 261 miles along the river and across four states: Minnesota, Wisconsin, Iowa, and Illinois. It’s divided into four districts, all with visitor centers and opportunities for canoeing, kayaking, sailing, and fishing. 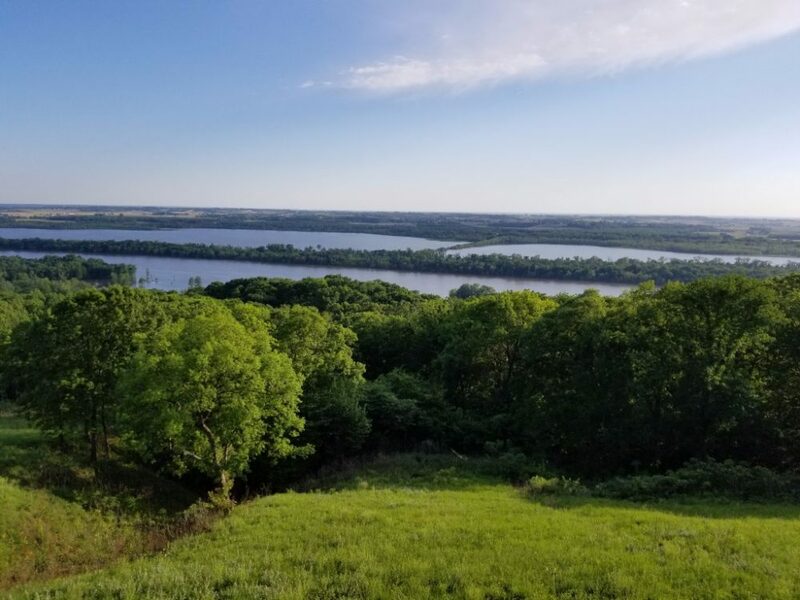 Pere Marquette State Park lies in a beautiful location in southwestern Illinois along the Illinois River and where it joins with the Mississippi. You can spend a few hours or all day at this park hiking through forests and up bluffs, fishing, or biking. 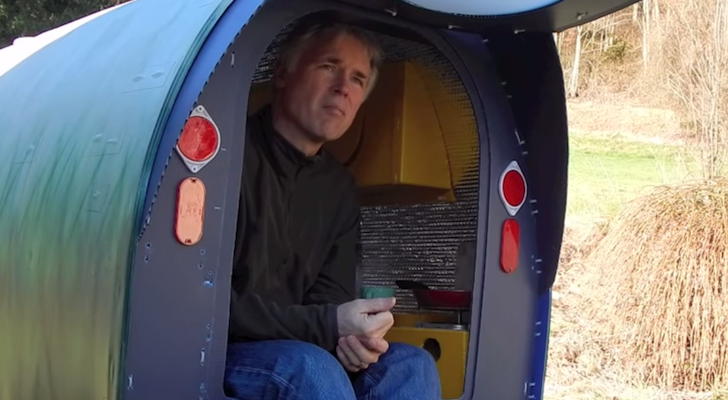 The campground has electric hookups, a dump station, potable water, and showers. Jones Confluence State Park marks where the Missouri River joins the Mississippi. It’s a short 5-10 minute walk from the parking area to see where the two scenic rivers meet. 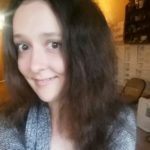 The park doesn’t have a campground, but it’s within a close drive of several parks in the St. Louis area. 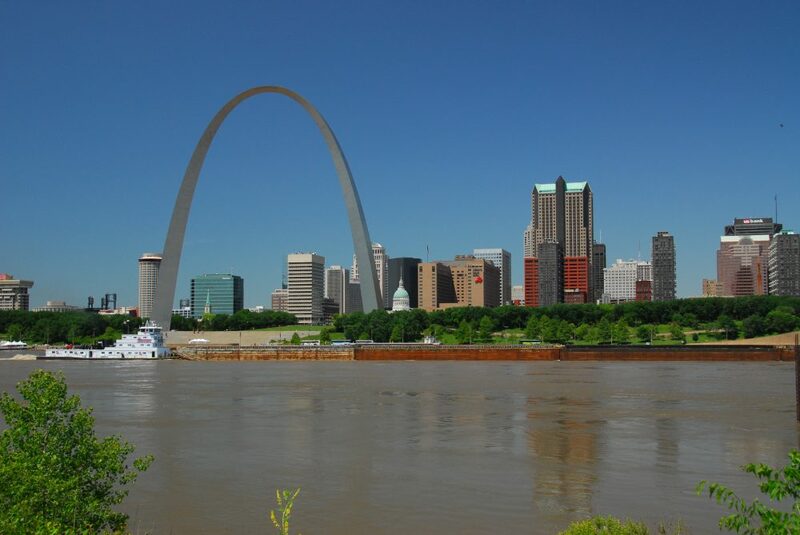 The Mississippi River flows through downtown St. Louis and past the iconic Gateway Arch. This monument stands 630 feet high over the city’s riverfront and you can get amazing views by taking a tram to the top. 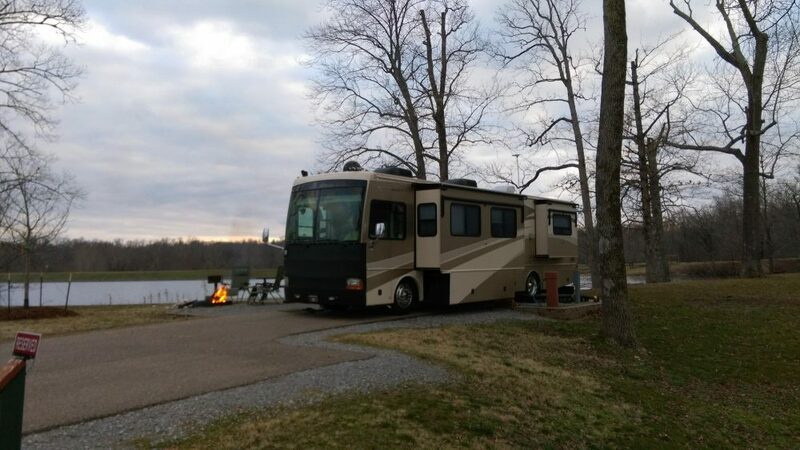 Casino Queen RV Park is just across the river from the arch with pull-through sites, full hookups, and an on-site casino and restaurants. To see more, go sightseeing on a day or evening riverboat cruise. Columbus-Belmont State Park was a significant site during the American Civil War. Both the North and the South considered the location to be strategically important in gaining control of the Mississippi River. The 156 acre-park on the Kentucky-Missouri border now has a museum, snack bar, descriptive plaques, and a campground with full hookups. 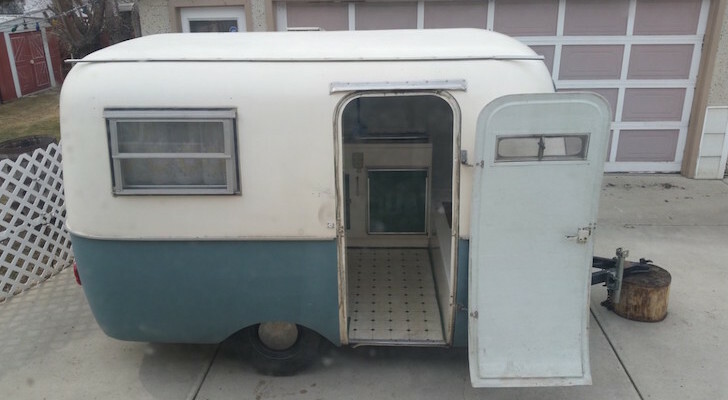 They also have a couple of camping trailers and a log cabin that can be rented if you’re not making the trip in an RV. Memphis is a riverfront city with historic music landmarks, attractions, and restaurants where you can get authentic BBQ. 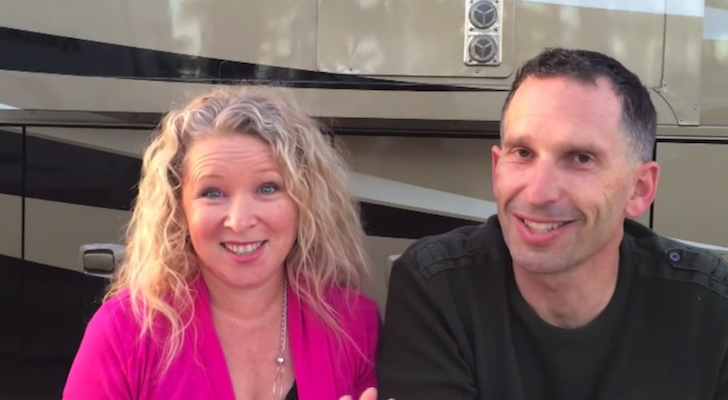 Park your RV nearby at T.O. Fuller State Park and make a trip downtown to see the Blues Hall of Fame, Rock N’ Soul Museum, and Sun Studio, where Elvis Presley, B.B. King, and Johnny Cash all recorded albums. 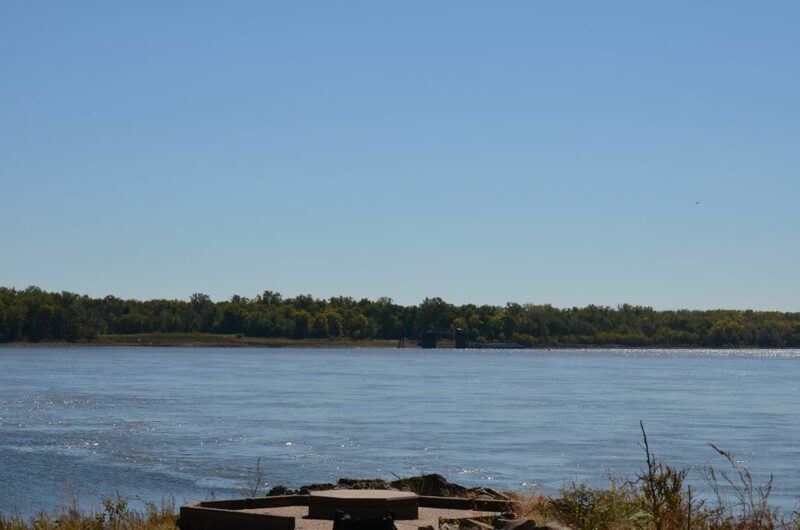 You’ll also want to make a trip to Mud Island, a peninsula between the Mississippi River and Wolf River Harbor. The peninsula has a riverfront park with a scaled model of the Lower Mississippi River, a monorail, and a museum with galleries to browse. This park in eastern Arkansas has a range of activities on and off the water. 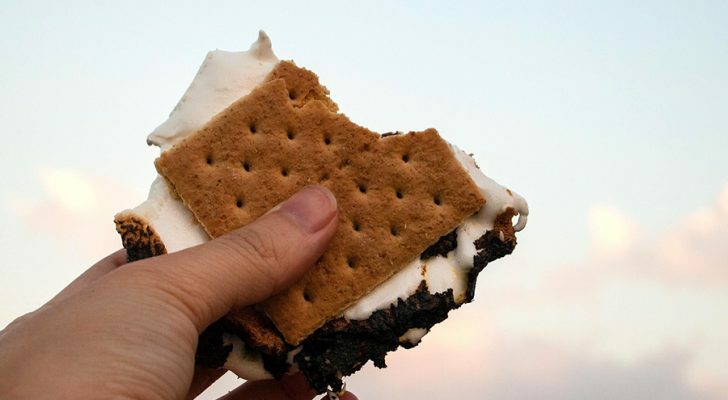 Go hiking, kayaking, fishing off the pier, swimming by the beach, have a picnic, or just relax back at the campground. 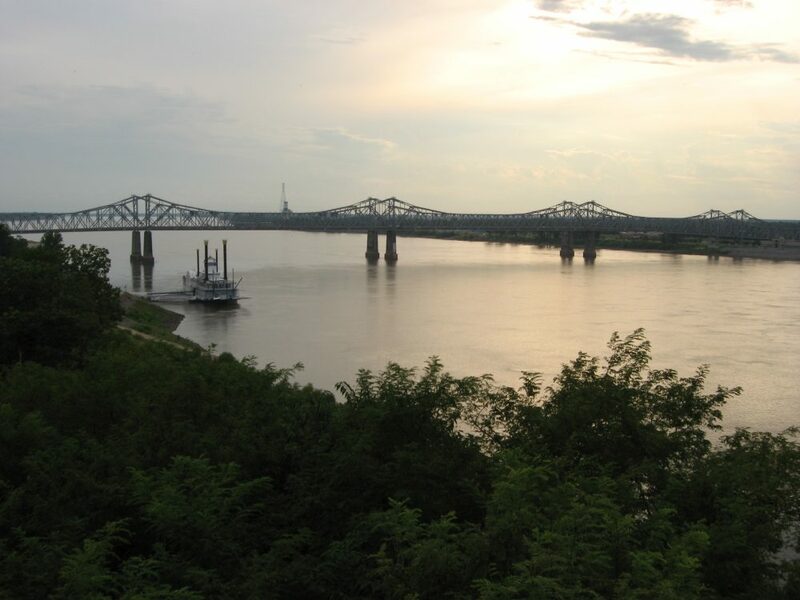 Historic Natchez is the oldest settlement along the Mississippi River. You can still see many of the sites and structures that belonged to the Natchez people preserved downtown within Natchez National Historical Park. 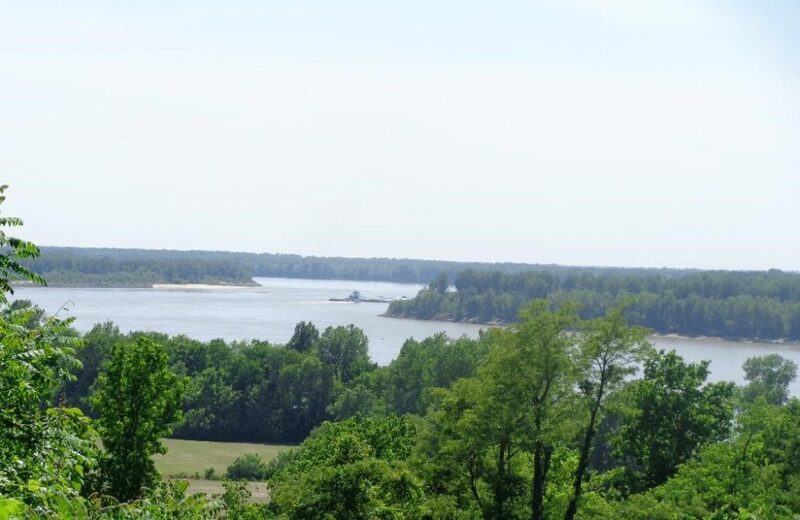 Twenty minutes away, Natchez State Park is a great home base with spacious sites and water/electric. The scenic Natchez Trace Parkway starts here in Mississippi and will take you over 400 miles north towards Tennessee. 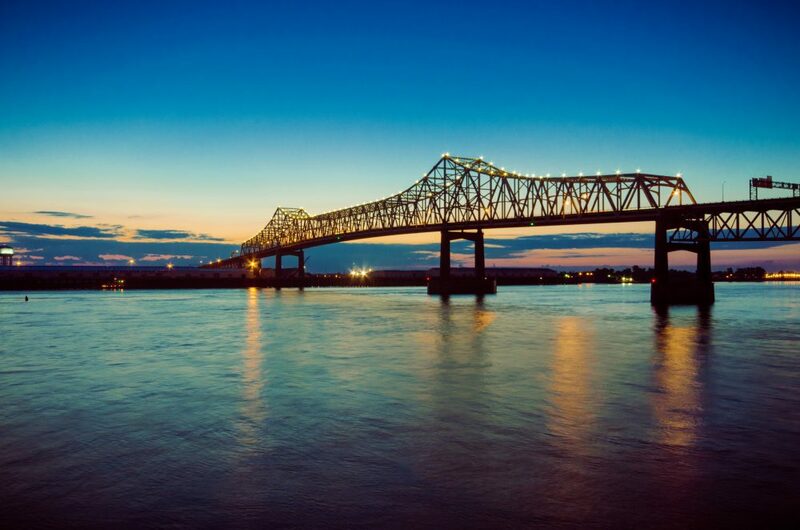 Baton Rouge is Louisiana’s capital and has a long history along the Mississippi River. 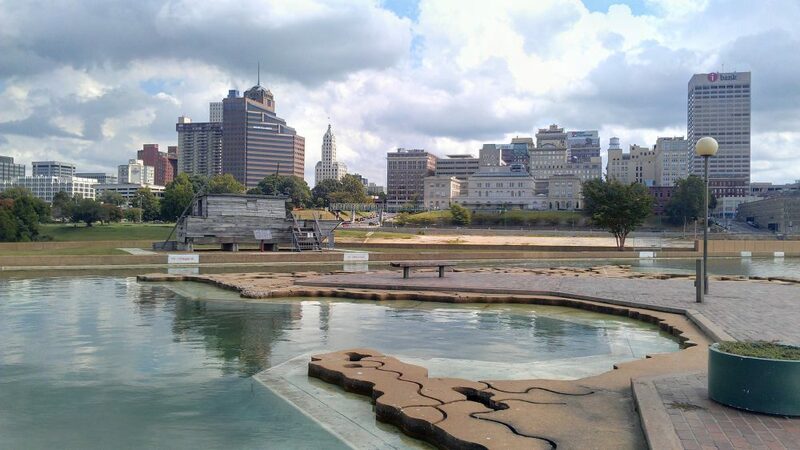 The city is home to several museums including the old Louisiana state capitol building, the Old Governor’s Mansion, and the USS Kidd, a retired World War II destroyer that sits on the river. Grab a meal from one of the local restaurants while you’re here—this area is renowned for its seafood and Cajun and Creole dishes. 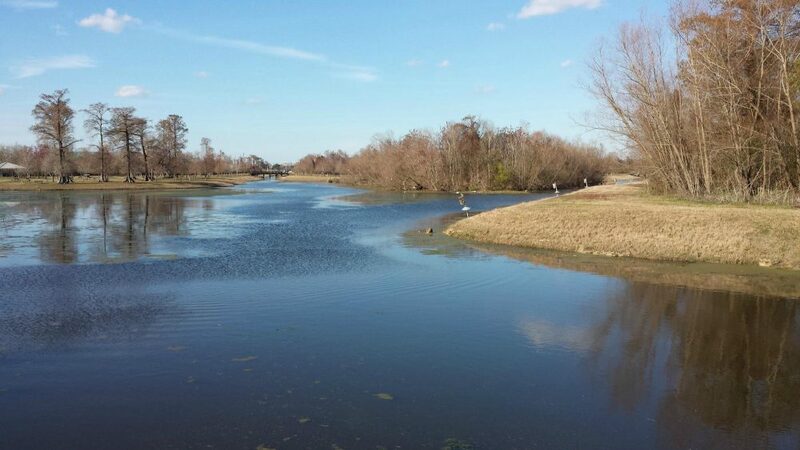 Bayou Segnette State Park is a more quiet place to park just outside of New Orleans. It’s only a 20 minute drive across the river to reach downtown attractions like the famous French Quarter. From here you can continue following the Mississippi River as it flows past the Big Easy and south towards the Gulf of Mexico.